Eric Schwamberger recently joined the chemical warehousing experts at FW Warehousing as Regional Facility Manager for Indianapolis. Eric Schwamberger recently joined the chemical warehousing experts at FW Warehousing as Regional Facility Manager for Indianapolis, according to Mark Cusumano, President and CEO of FW Warehousing. Prior to joining the FW team, Schwamberger served as Director of Operations for EnterMarket in Indianapolis. Schwamberger studied Business Administration at the University of Phoenix, as well as Economics and Marketing at Michigan State University. FW Warehousing opened its 750,000 square foot facility in Indianapolis, Indiana, in August 2011. The firm has expertise and is certified in chemical warehousing and food-grade storage, in addition to providing general warehousing and cold storage services. FW Warehousing is based in St. Louis and has warehousing and distribution centers for its general storage, food-grade, cold storage and chemical warehousing customers in three Midwest states, Missouri, Illinois and Indiana. 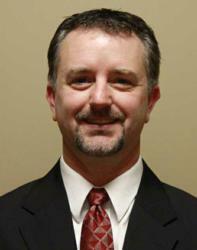 For more information about Eric Schwamberger, read his bio on the Key Personnel page of the FW Warehousing web site. For additional information about FW Warehousing’s Indianapolis facility, read the news article on the FW Warehousing web site titled “FW Warehousing Announces 750,000 Square Foot Facility in Indianapolis”.